Toronto is in the midst of a housing crisis that expresses itself most sharply in massive and growing homelessness. As the shelters overflow, the disaster that this creates interacts with an overdose crisis that continues to claim lives. 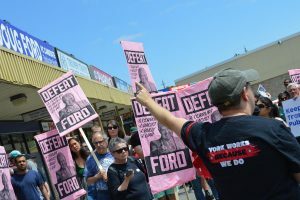 This disaster is now poised to get even worse at the hands of the Doug Ford Government, with its readiness to implement social cutbacks and its hostility to life saving safe injection initiatives. Those in power and their media mouthpieces love to point the finger of blame at those who suffer the effects of austerity and abandonment. After letting the developers control and profit from the creation of upscale housing, after allowing public housing to crumble, after letting social assistance income decline substantially and after failing to provide adequate shelter for the homeless for years, refugees have become a convenient target to blame for the problem. Now, the same interests are targeting poor and homeless people who use drugs, in a truly despicable move. Many in the media, with the Toronto Sun leading the pack, have been running lurid stories of homeowners and businesses under attack by what the Sun’s Sue-Ann Levy calls “druggies.” Another piece in the Sun went so far as to call for the death penalty for those who sell drugs and the main objective of these hateful articles is to try and shut down supervised injection services and overdose prevention sites. Levy argues that such facilities only encourage drug use and simply assumes, without any evidence, that the lack of safe options would cause people to give up drug use. In fact, the opposite is true – research in countries around the world has consistently shown that providing people who use drugs with compassionate, evidence-based healthcare like supervised injection services improves their health and helps people who want treatment to access it. 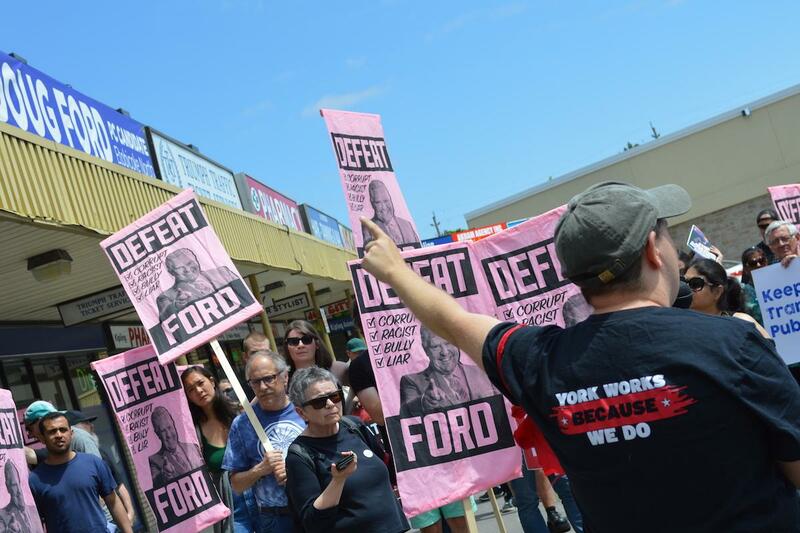 Raise social assistance rates in Ontario so that people can afford to stay housed. Stop boarding up public housing and create real social housing to meet the need that exists. Open enough homeless shelter space so that the system is not running above 90% capacity. Open shelters mainly in the central area where they’re most needed with an emphasis on low barrier facilities. Legalize and regulate all drugs, rapidly develop prescription heroin and hydromorphone programs in Ontario. Extend the funding of current overdose prevention sites and expand access to SIS and OPS sites. Treat the kind of articles that have appeared in the Sun as incitement to hatred rather than journalism. 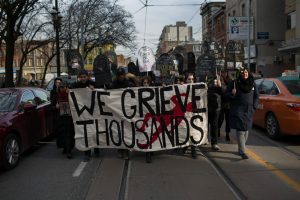 OCAP is calling for a press conference on Monday, July 23 at 10am at the corner of Dundas and Sherbourne to support the continued operation of supervised injection sites, to oppose the re-introduction of programs like TAVIS, and to demand the creation of adequate shelter and housing.